$799.00 & FREE Shipping on orders over $59. 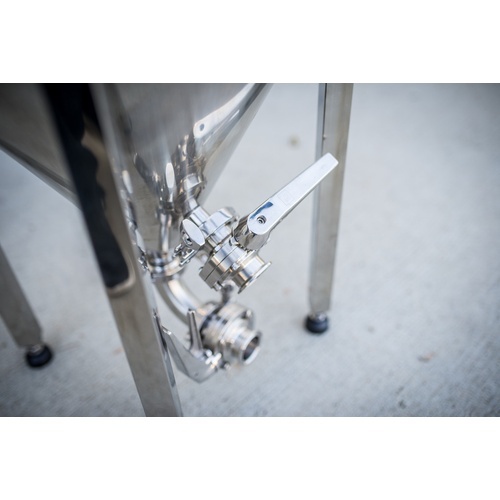 Since launching the Chronical line in 2013-14 (7 gal, 14 gal, and 1/2 bbl) many of you have written in to us asking when are we going to roll up our sleeves and do a premium line of Chronical fermentors with butterflies, a bigger lid port, sampling valve, etc. Well we heard you loud and clear. And as always, we take user and Community feedback to heart and turn it into product! 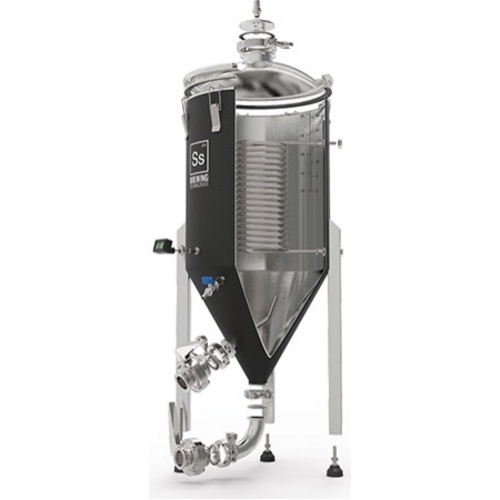 This fermenter has several features you should compare to competitive offerings including a domed lid with a 3" TC port on the top, a standard fitted FTSs chiller coil that installs inside the fermenter body (not the lid), custom tailored neoprene jacket included, an included sampling valve, internal electrically etched gallon markings, rotating racking arm (included), custom designed butterfly valves, and like all of our fermenters this Chronical will come with a beautiful polished finish that would look at home in a museum or art gallery let alone your brewery! These are gorgeous pieces of craftsmanship! 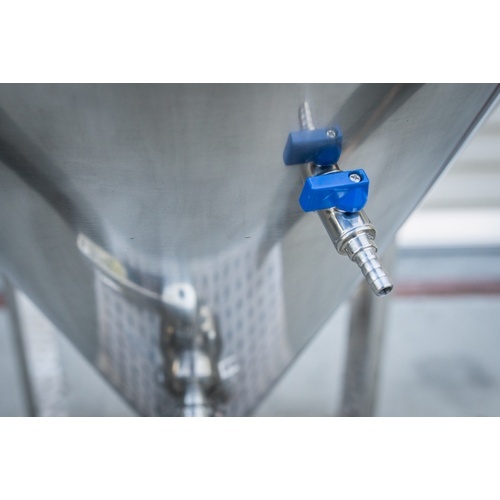 And with the 3" TC lid port you will now be able add some great upgrade options such as a CIP assembly and a stainless blow-off cane. We'll also offer a 3" TC to 1.5" TC reducer so you can leverage existing 1.5" TC fittings. 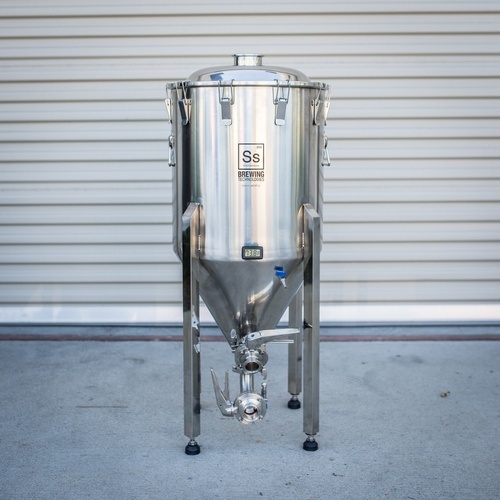 The sky is the limit with these fermentors and you aren't going to find a more compelling set of standard features not to mention a nice host of optional upgrade features you can bolt on later! I love this for home use! I was scared and thought this unit would be large or heavy...i was wrong. 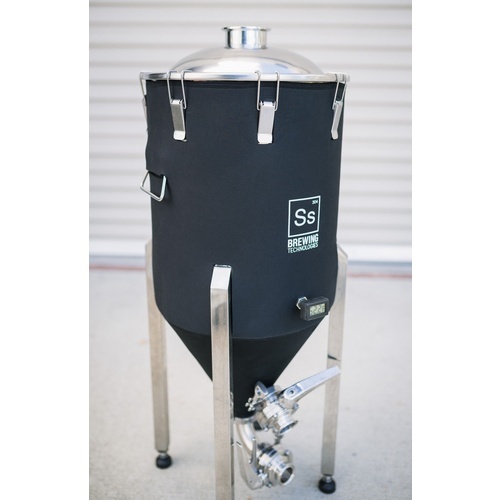 Very small and compact and like some 7 gallon to 14 gallon sizes. I wished i would have purchased years ago! Do not get leg extensions as i made that mistake as not worth it and flimsy. Do get castors as i cannot imagine this unit without it. 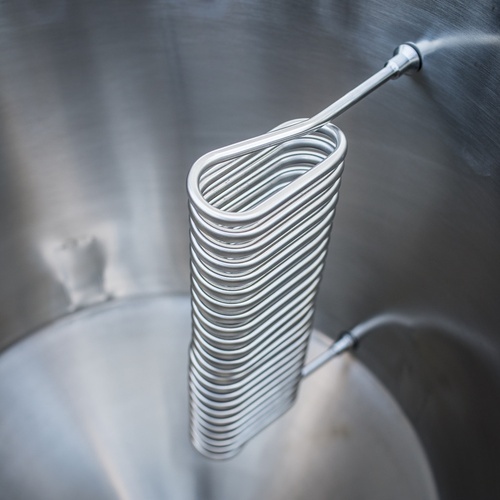 I roll to my sink and wash it there and roll back to corner... wonderful small and functional with great headspace for my 10 to 15 gallon brews!. I ALSO GOT FTS KIT AND HAD A PROBLEM WITH CHEAP 12VOLT WIRE BUT LET MORE BEER KNOW AND THEY TAKING CARE OF IT....I LIKE THIS PACKAGE SO MUCH I AM GOING TO GET ANOTHER Unit SHORTLY... cheers!